Luxury handbag brand OneSixOne has set itself a high bar if there ever was one. Its name derives from the decimal 1.61, an approximation of the golden ratio – the number that mathematicians, architects and artists alike consider to govern beauty. 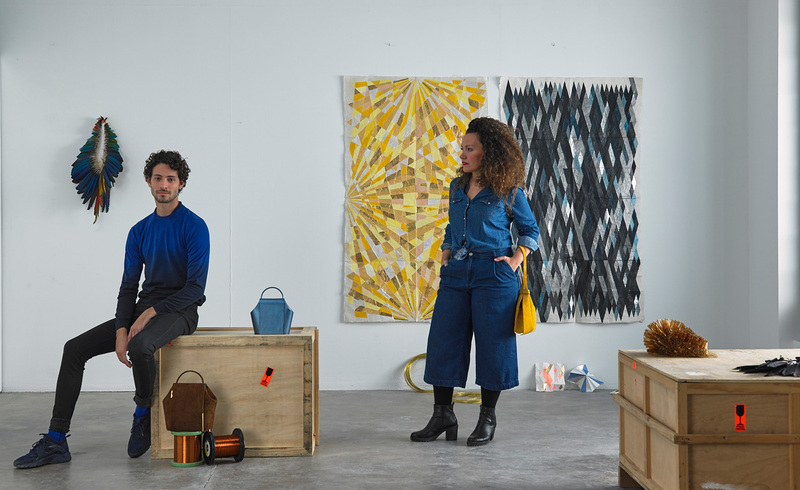 Each season, the Spanish brand delves deep into that concept, creating a collection of 161 handbags developed closely with an international emerging artist, who lends his or her vision to OneSixOne’s harmonious leather forms. For autumn/winter 2016, OneSixOne has enlisted Anna Talens, a visual artist from Berlin who ‘has an enigmatic and curious vision’. Talens has applied her distinct eye to ’Endless’, a collection that highlights her talent for ‘unsuspected details that generate new meanings’. Talens is influenced by wabi-sabi: the Japanese philosophy that sees beauty in imperfect and incomplete objects. Here, she has used the Japanese kintsugi technique in her handmade gold-threaded crochet works, a fragile shimmering beauty that is reflected in the copper-coloured clutch of her collection. Candela adds: ‘Many people identify craftsmanship with tradition, but I connect it to everyday activities, products and materials.’ To the OneSixOne founder, these products have an emotional and cultural component, one that is made visible beautifully in handbags, objects we use everyday. There’s a story to tell in each collection, from the artists, to the individual language they’ve been building for years, and the travels to the south of Spain to closely develop the pieces with artisans. Each iteration of the project becomes a celebration of the artist’s ethos combined with the company’s values.